All proceeds from the sale of the below items will assist the FQPM to preserve the Queensland Police history for future generations. Much of our merchandise become collectors items making them more valuable once supplies run short. 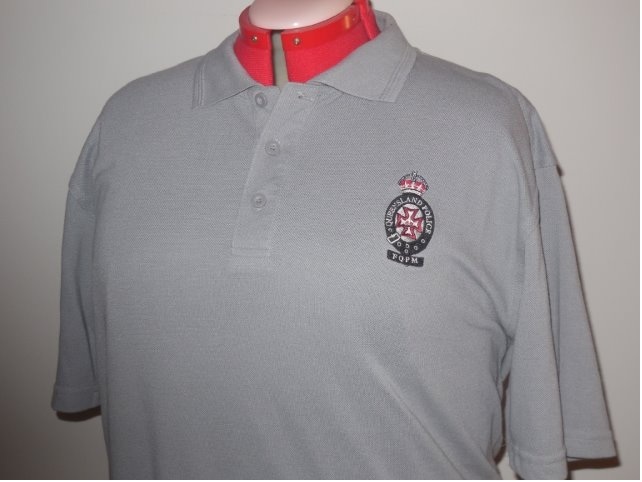 FQPM merchandise and a range of other Queensland Police Service memorabilia can be purchased directly from QSHOP which is conveniently located next to the Queensland Police Museum on the ground floor of QPS headquarters, 200 Roma Street, Brisbane. QSHOP is open to the public each Wednesday and Thursday from 10 am – 2 pm. 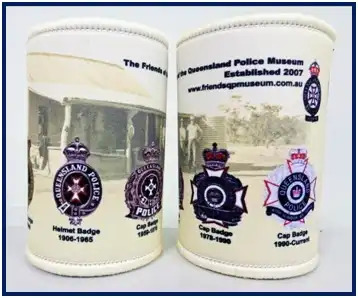 These stubby holders depict the five varieties of Queensland Police hat badge that have existed since 1884. These 42mm Challenge Coins are beautifully finished in silver cupro-nickel and come in a clear protective cover. The obverse side depicts the badge of the FQPM which is based on the Queensland Police helmet badge in use from 1906 – 1960. The reverse side depicts the current Queensland Police Service badge which was introduced in 1990. These limited edition coins are the same size and quality finish as the regular FQPM Challenge Coins. The obverse side depicts the badge of the FQPM which is based on the Queensland Police helmet badge in use from 1906 – 1960. The reverse side depicts a policewoman directing traffic. It recognises just one of the many roles women play in the Queensland Police Service. The image is based on a photograph of a policewoman from the 1980s. A discount applies to FQPM members. Email secretary@friendsqpmuseum.com.au for details. These casual dressy shirts, are available in men’s and women’s sizes with a good choice of colours. You will be advised of the cost of postage and you can then pay by one of the payment methods listed below.